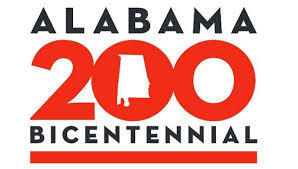 Gaylesville High School FCCLA has been designated an Alabama Bicentennial School based on this years Community Project “Cooking Away with FCCLA”. GHS FCCLA will be creating a community cookbook as part of this project. We would love for our Gaylesville community members to donate recipes and demo some of these recipes for our students. Please contact Mrs. Blankenship to set up a demo time or to share recipes for our cookbook. We plan to sell the completed cookbooks in December for $10. ALL medications, both prescription and over-the-counter, must be brought to the school nurse’s office by the parent or guardian. ALL medications, both prescription and over-the-counter, to be given at school require a Parental Authorization Form to be completed by the parent and/or guardian. Prescription medicines will require forms to be completed both by the physician and parent/guardian. Any change in medication will require a new form to be completed. NO over-the-counter medications will be maintained or provided by school personnel. Non-prescription medicines will be given only to those students whose parents/guardians provide the medication AND the appropriated Parental Authorization Form(s). ALL medications must be provided in original containers with (in the case of prescription medication) completed pharmacy labels and/or (in the case of over-the-counter) manufacturer’s labels and an additional label with a child’s name and dosage/time instructions. No medication samples will be accepted at school. Medications stored in envelopes, ziplock bags, etc. will not be administered. No verbal orders for medications (prescription and over-the-counter) will be accepted over the phone from anyone except from the child’s physician. Parents should check with their child’s physician regarding the need for medications to be given during school hours. For example, medications prescribed for three times daily often can be given before school, after school, and at bedtime. Students may not have medication in their possession, except with a physician’s written request or a physician’s order on an asthma plan. Students who violate these rules will be in violation of the Alcohol/Illegal Drug Use Policy. The school nurse reserves the right to deny administering medication to any student. The student will not be allowed to return to school until the student has been cleared to return by the school nurse or the school nurse designee. The Cherokee County Board of Education adheres to the recommended guidelines for the control of head lice in schools and has adopted the following procedures for head lice. On the first day lice are found, a letter will be sent home with the child informing the parent of the lice condition and the process for correction. Any classes missed on this day will be excused. When lice are found, a letter will be sent home with the child informing the parent of the lice condition and the process for correction. Any classes that are missed during this time will be unexcused. 1. The child must be brought to the school by the parent or guardian. 2. Before the child can return to school, the child's head must be shampooed and lice-free. 3. Upon re-entering school, the child must report to the main office for verification that all lice are removed. 4. The school nurse will verify that the child is lice-free. 5. The school nurse will admit the student to the school. 6. The student will not be readmitted to school until the child is lice free. The mission of Gaylesville School, working with parents and the community, is to provide all students: the opportunity to learn in a caring, safe, and secure environment the resources and materials needed to be successful in the 21st century competent teachers that deliver high quality instruction so that each student may develop the skills and abilities that will help him/her become a healthy, well-adjusted, and productive member of his/her community. Hello, my name is Scott Hays, and I am the principal at Gaylesville School in northern Cherokee County. Cherokee County Alabama is one of the most beautiful places on earth with mountain scenery, lush green forests, and of course, Weiss Lake. The Cherokee County Board of Education has a long standing commitment to quality education for the children of our county. AdvancEd Accreditation was attained once again through our system’s efforts to maintain quality education. Along with this quality education, there are many opportunities for extracurricular activities. Faculty and staff of Gaylesville School work diligently to make sure the experience here is full and rich. After school programs, summer programs, and athletic opportunities are around every corner. Thank you for visiting our website today and if you have not already, please come and explore all of the natural wonders of Cherokee County.